A class intriduced exclusively for the WR in 1961.101 examples built.Although quite reliable and well liked were all withdrawn by 1975 due to being seen as non-standard (Hydraulic transmission instead of Electric). 4 survive in Preservation. 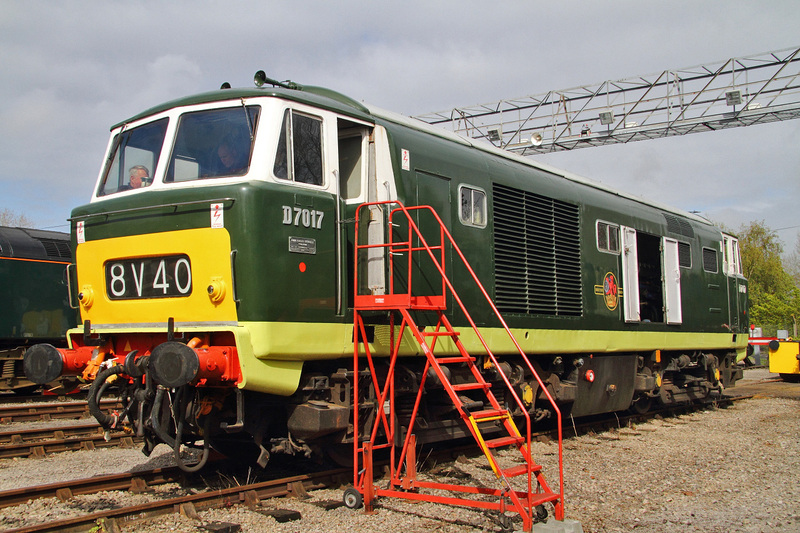 Hymek Type-3 Diesel-Hydraulic D7017 arrived here at St Philips Marsh-HSTD on a Road-Transporter,the only visitor to do so.Ironically it usually lives at the West Somerset-Rly barely 50 miles away making it the closest located guest locomotive! 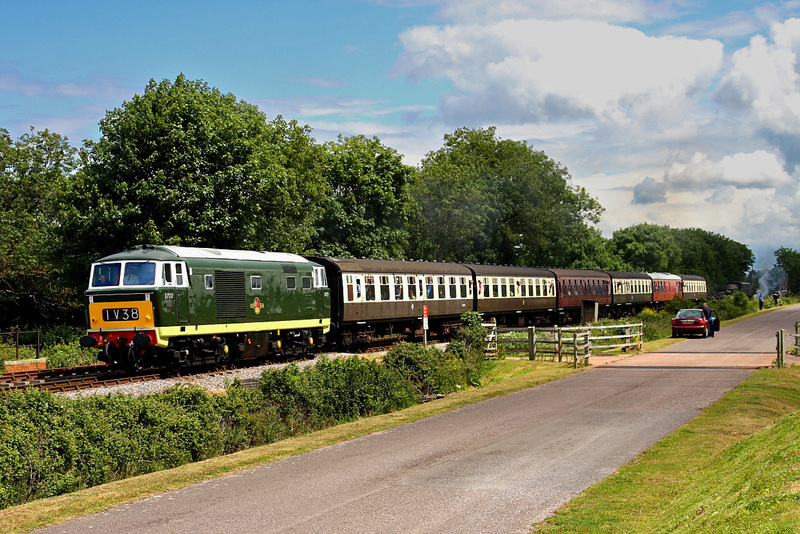 Type-3 Hymek D7017 in pretty much 'As Built' condition rolls slowly into Williton on the West Somerset Railway with the advertised 'diesel' trip the 15:25 from Minehead going to Bishop Lydeard.As a 12 year old I well remember this class taking over the Bristol to Salisbury workings (The first dieselization on that route) from GWR Halls and Granges and later in 1964/65 these engines carried me to Salisbury and back everyday for nigh-on 2 years to attend the College there. 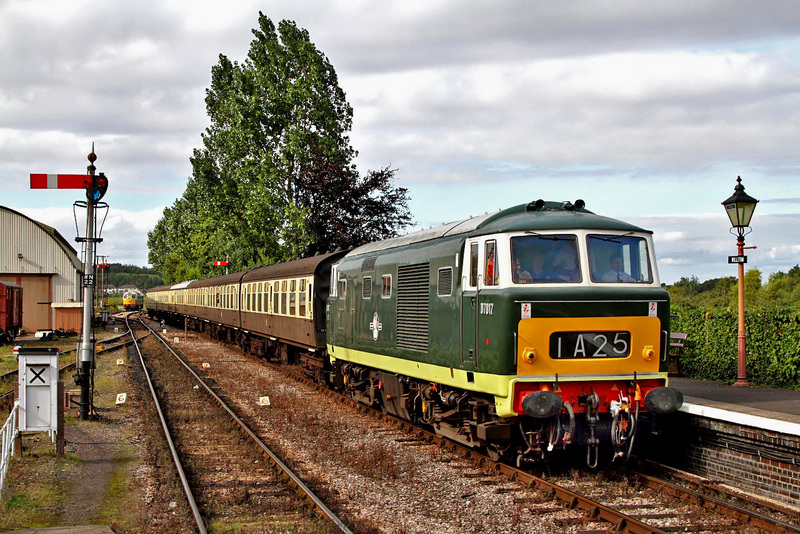 Hymek D7017 looking very early 1960's gets away from Dunster working the 13:00 from Bishops-Lydeard to Minehead service.I used to travel everyday from Warminster to Salisbury and back in 1964/1965 practically every weekday for the Technical College there before starting work behind various D7000's.The coaches then were mainly GWR Hawksworth stock unlike this motley rake of BR-Mk-1's. 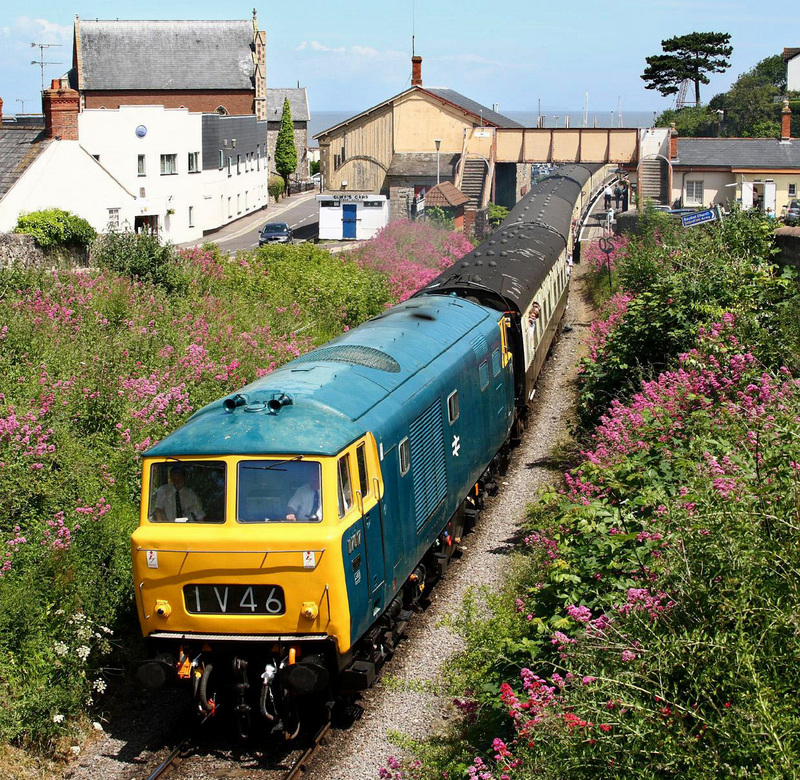 Looking superb in Blue D7017 gets away from Watchet with the 12:05 from Bishops-Lydeard going to Minehead on the west Somerset railway during a Mixed Traffic weekend held in superb weather (For a change)!